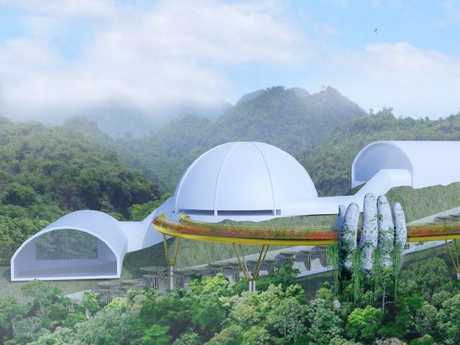 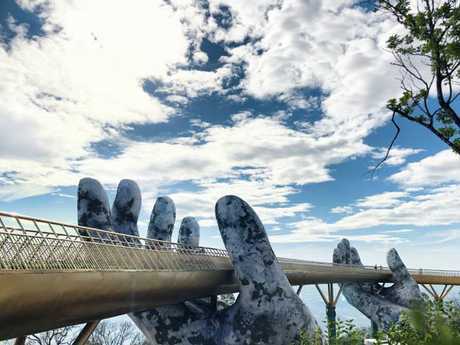 An incredible new attraction has opened in Vietnam and it has everyone talking. 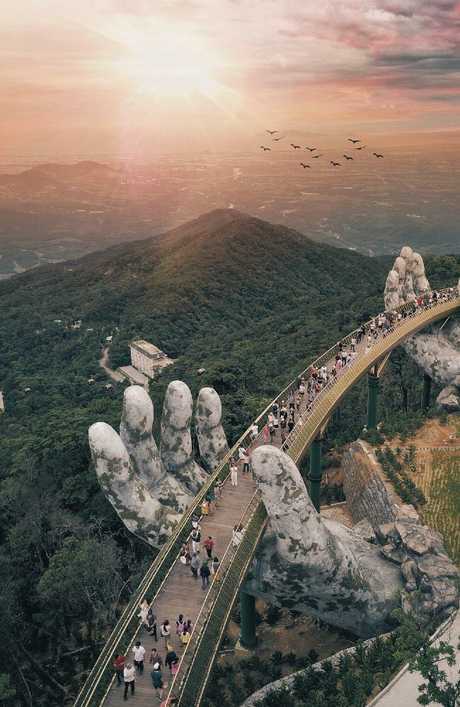 The breathtaking Golden Bridge simply looks too impressive and otherworldly to be real. 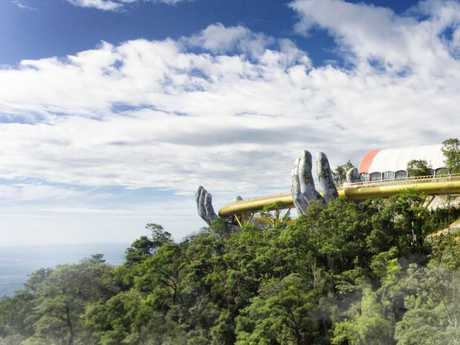 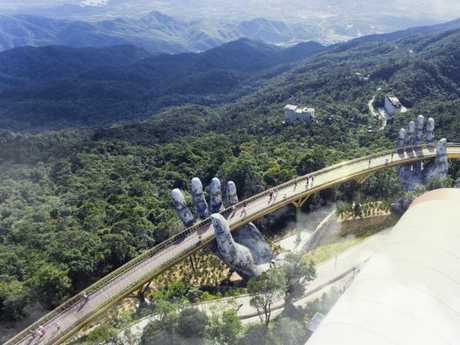 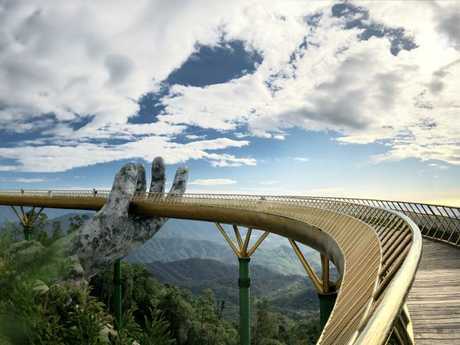 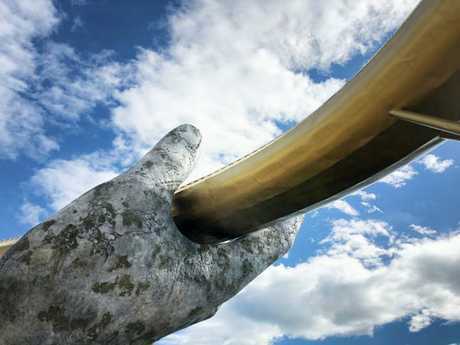 Perched 1400m above sea level in the Ba Na hills, the gold-coloured walkway appears to be held up with two "giant hands". 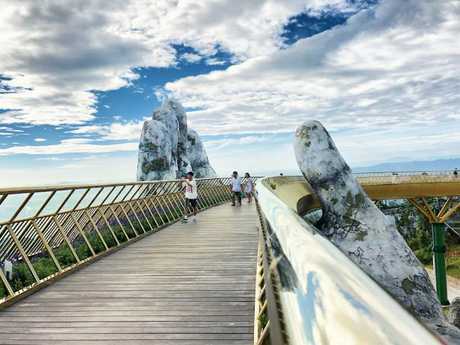 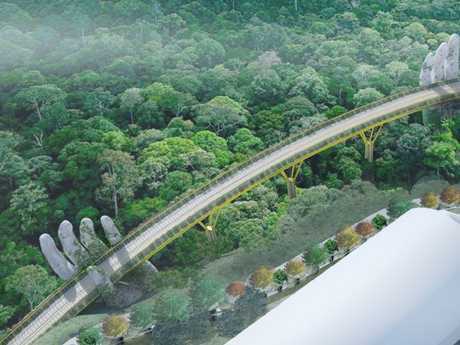 The 150m-long walkway opened to the public in June. 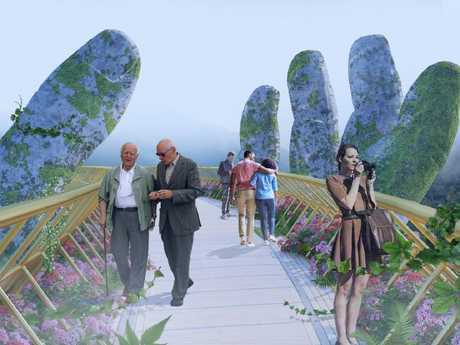 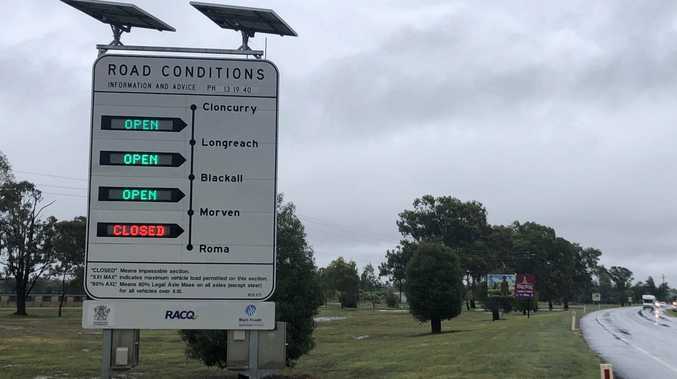 Designed by TA Landscape Architecture, it's part of a $2 billion investment to lure more tourists.